ariVolume aims to provide measuring bottle capacity at the HOT and COLD end.The equipment is the result of changing the current measurement concept based on water filling, for another concept which is absolutely NEW and based on fluid dynamics. FAST. It measures a cold bottle in 15-20´´. It measures a newly manufactured bottle at the hot end in 3-6 minutes. (Depending on the amount of glass). PRECISE. We manage an error of 0.1%. 1cc in a 1000 cc bottle. NON DESTRUCTIVE TESTING. Do not use water or any other odd element, this allows not to discard the bottle. TREND. TRACEABILITY. Ideal to have real-time information of capacity value and deviation by mould. Capacity measurement at hot / cold end and laboratory. ariVolume is based in the measurement of volume of any solid. This is especially useful in solid and irregular containers. ariVolume measures the bottle capacity, once this has reached the measurement temperature, rapidly in 20´´. The bottle is placed in the equipment and, if it is considered appropriate, identifies the mould in HMI. The machine checks the bottle temperature and if it is hot starts the cooling system until the bottle reaches the measurement temperature (3-5 minutes depending on the amount of glass). Measures the bottle capacity in 20´´. Shows the result in the display. 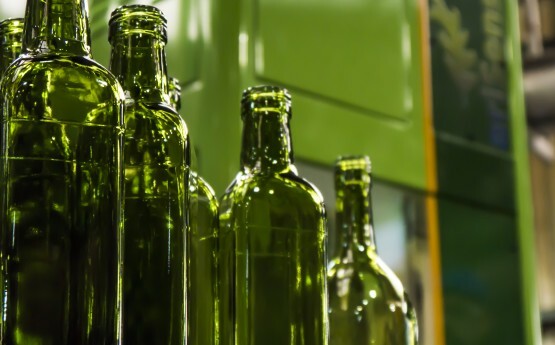 Except placing / removing the bottle, the entire process is done automatically without requiring an operator. Bottle capacity measurement in HOT, IMPOSSIBLE to be measured with old traditional techniques. FAST. The bottle capacity is determined, once the appropriate temperature is reached, in 20”. Possibility of automate the loading/unloading of hot bottles to the machine robotically. Ensuring traceability by mould. Managing the monitoring of trends by mould. Likewise, exists the possibility of integrating ariVolume in the cold inspection line. Automate the load/unload of bottles. Communicate the machine with the existing mould reader and guarantee traceability by mould.